While I study more about making a better cheesecake, I digressed into making pita breads. I read through a lot of pita recipes and what interested me the most is the fact that this flatbread is not at all flat when it starts its life. I've always had toasted flat pitas but never any freshly baked and certainly not "puffed." In this state, they are almost too cute to eat. But after I've gotten over their cuteness, I ate them with tenderloin beef kebabs. Classic combination. Certified yum. Being a novice at working with yeast, I chose a recipe which I perceived to be the easiest one to make, which is "My Family’s Pita Bread" recipe from simplebites.net. I made a few adjustments to the original recipe because I got active dry yeast instead of regular yeast. The original recipe instructs to dissolve the yeast in warm water, but the package on the active dry yeast says I shouldn't activate it in water and instead add it directly to the flour. So that's what I did, and I didn't need to warm up some water because of it. Regular room temperature water worked fine. I got positive results despite the adjustments, so I can say this adapted recipe is pretty safe. 1. In an elecric mixer bowl, Combine yeast, salt and 1 ½ cups flour. Add Water. 2. With the dough hook attachment, beat to make a batter. Scraping down the sides of the mixing bowl with a rubber spatula to combine all the ingredients well. 3. Add additional flour until a rough, shaggy mass is formed. Remove bowl from electric mixer and knead dough for 10 minutes until dough is smooth and elastic. Add more flour if it is too sticky. 4. 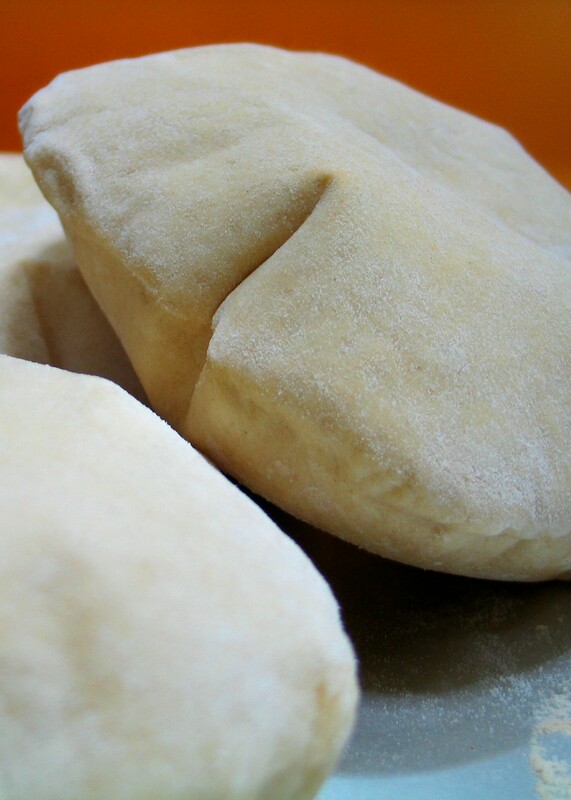 Turn dough onto a lightly floured surface and divide into six pieces for large pitas or ten for smaller. 5. 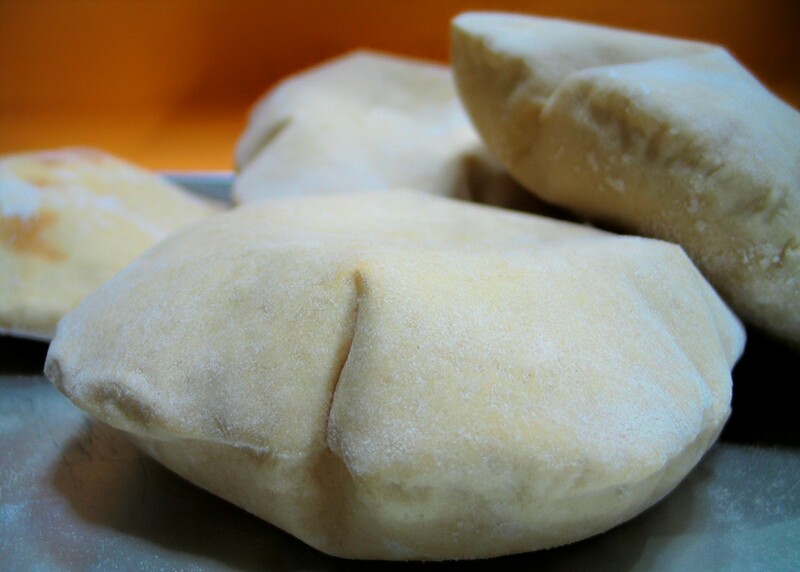 Form dough into balls, then flatten with a rolling pin into ¼ inch thick discs. Try and keep an even thickness as this is what helps them ‘puff’. 6. Let rest on the floured surface 30-40 minutes until slightly puffed. Preheat oven to 425F. 7. With a large spatula, flip the rounds of dough upside down on to an ungreased baking sheet. Bake 10-15 minutes.